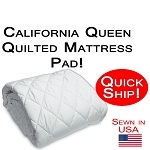 California Queen = 60" x 84"
California Queen Size Bed Dimensions are 60 inches wide x 84 inches long. 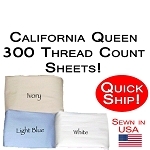 These are standard California Queen bed measurements. 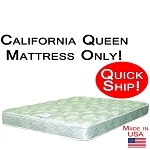 California Queen Mattress depths can vary from just a few inches to 16" or more for the new huge pillow tops. 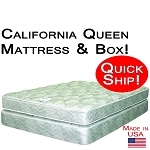 Many times, actual California Queen mattress dimensions will vary by one or two inches, usually smaller. 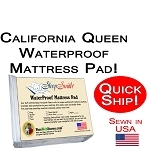 The California Queen is also a size used for hard sided water beds. 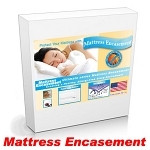 One inch is equal to exactly 2.54 centimeters. One foot is equal to 30.48 centimeters. 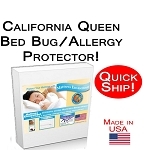 One meter is equal to 39.37 inches.